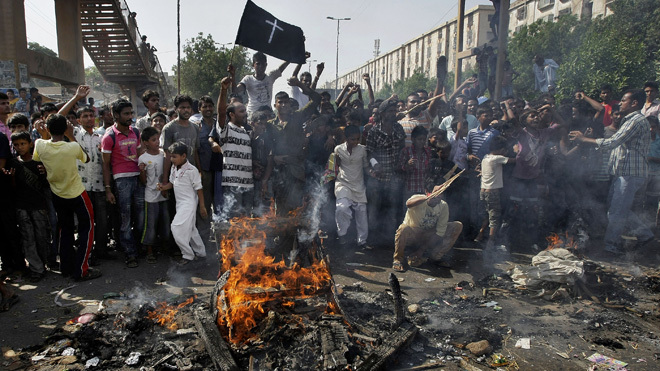 Suicide attack at Pakistan church kills 75…..
A pair of suicide bombers detonated their explosives outside a historic church in northwestern Pakistan on Sunday, killing 75 people in the deadliest-ever attack on the country’s Christian minority, officials said. A wing of the Pakistani Taliban claimed responsibility for the bombing in the city of Peshawar, saying it would continue to target non-Muslims until the United States stopped drone attacks in the country’s remote tribal region. 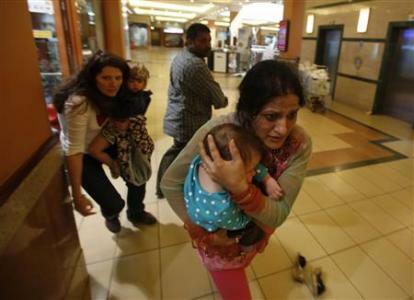 Hostages forced to hide as death toll rises to 59 in terror attack on Kenya shopping mall…. 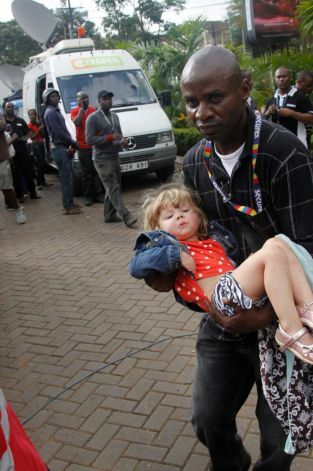 Dozens of hostages are holed up in an upscale shopping mall in Kenya’s capital, forced to hide from gunmen following an attack by suspected members of an Al Qaeda-linked Somali militant group on Saturday that left at least 59 dead and 175 injured. The Kenyan military remained in a tense standoff with Islamic extremists in Nairobi on Sunday, as barrages of gunfire were heard inside the mall, Reuters reports. 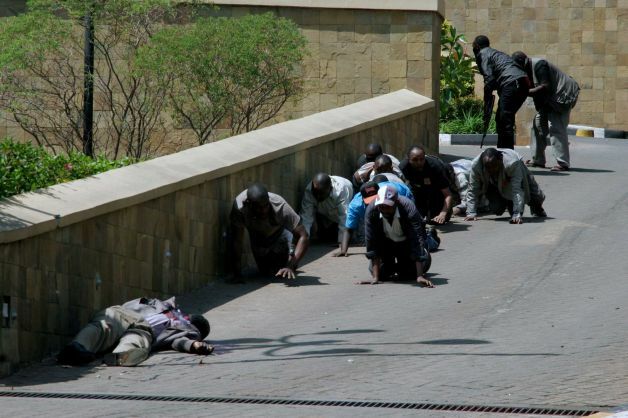 Islamist militants were holed up with hostages on Sunday at a shopping mall in Nairobi, where at least 59 people have been killed in an attack by the al Shabaab group that opposes Kenya’s participation in a peacekeeping mission in neighboring Somalia. 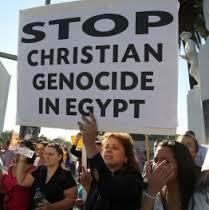 By now I’m sure most of you know the recent attacks against Christians in Egypt, Kenya, and Pakistan. I am convinced we are in the ‘Last Days’ as Jesus has foretold us. Seeing that there are many of you in Kenya, Egypt, Pakistan who are reading these posts regularly, we here in America want you and your loved ones to know we are praying for you that you would remain strong in the faith, be steadfast and know that God knows the labor you do in His Name, and He is a rewarder of those that seek Him. We in America have not yet seen persecution of our faith in Jesus Christ to the point of death. Rise up Church and send your prayers of support and encouragement to Christians all around this world who have put their trust in Jesus Christ, having as Peter wrote a “lively hope by the resurrection of Jesus Christ from the dead, to an inheritance incorruptible, and undefiled, and that fadeth not away, reserved in heaven for you, who are kept by the power of God through faith unto salvation ready to be revealed in the last time. You may be saying to yourselves, my heart breaks for my fellow Christians who are living persecution against their faith, to the point of death. Maybe, you’re saying, I need to give more to this program, or that ministry; that’s good if God has called you to be a part of that work. But, how about taking all this to prayer? You can reach these Christians who are witnessing for themselves, their families and friends, that God is moving, and the End is coming nearer and nearer. Here is a list of friends across the world who read this blog, and need encouragement through your prayers, coming into agreement that their suffering is a sign of things moving, that Jesus is coming quickly! All it takes is a moment, to remember, and ask God to be the God of Comfort, and a shield unto them. With our busy schedules and frantic workplaces, we have an opportunity to get involved. Why not write your prayer by pressing the ‘Prayer’ Icon at the top of this post? I will make sure it gets out to all our fellow Christians across the globe. Thank you Joetta! The Lord bless you and your ministry!